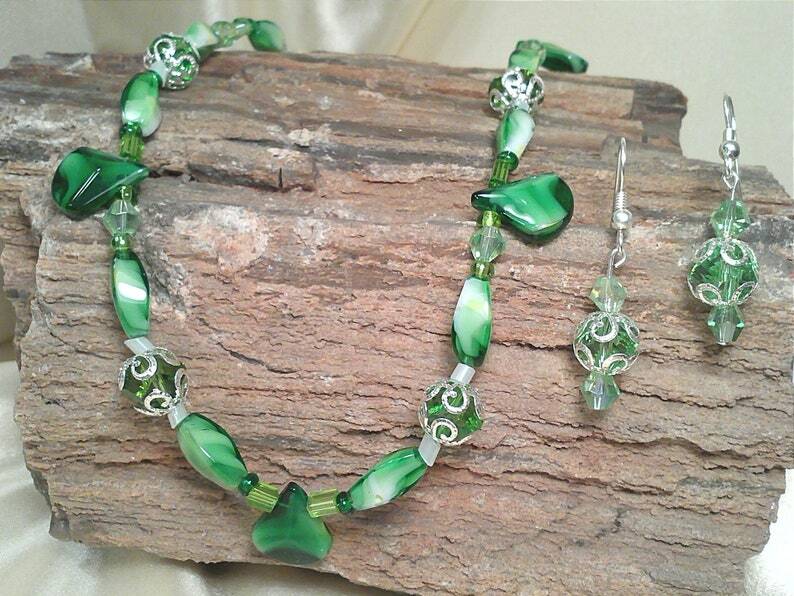 This is a stunning shade of swirled green beads with Swarovski faceted green crystals throughout. Sterling Silver caps cover the larger sized round beads along with Sterling Silver hardware with a nugget design toggle clasp. Necklace measures 17 1/2 inches from end to end.